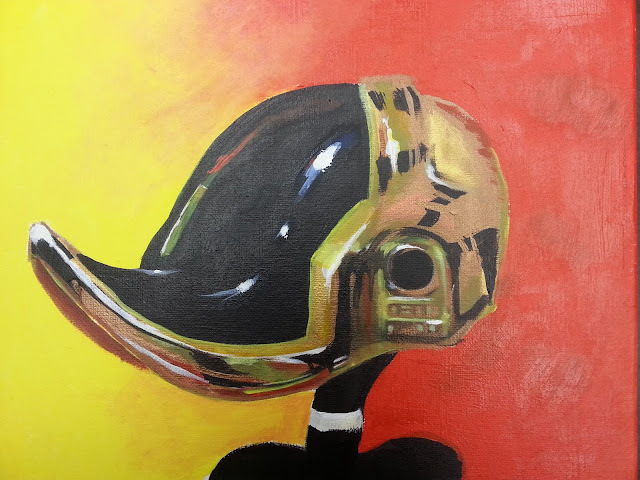 I usually don't paint Looney Tunes, but when I do, I paint them in Daft Punk Helmets. This is pass one of Daft Daffy. All acrylics. Pass two will be done by this week.